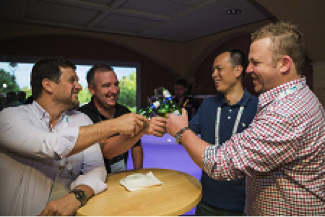 The Dinner is organized to let members unwind and mingle with other members in a relaxed social setting. All members will be present and sponsoring drinks for the dinner (alcohol & non-alcohol) is a powerful way to create brand awareness and build your company’s brand and prestige within the network. Fixed 1 to 1 meeting table (worth USD 500.00) with sponsor’s company logo on table top sign. 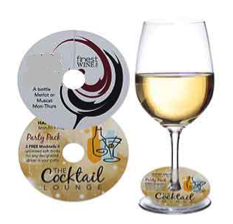 Customised wine tags with company logo to be displayed on wine glasses during the dinner. 1 full page company advertisement in the conference directory. Logo to be featured on conference website with link to sponsor’s corporate website. Featured in Sponsor page in the conference directory. Your company logo will be featured here! Each member will be given a T-shirt in their conference bag. 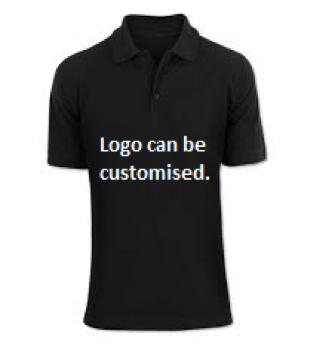 Having your company’s logo printed on the T-shirt, it is an effective way to market your company. Company logo to be printed on the T-shirt. The shoulder massage will be a welcome and a hit with many members. The massages are available from 2pm to 5pm on both meeting days. There is no better way to advertise your company than having your company logo prominently displayed on a standee at the massage corner. 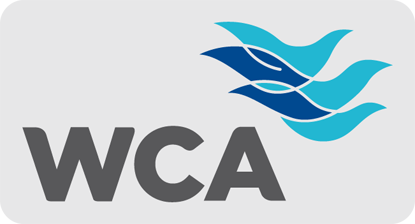 Company logo to be printed on a stand-alone standee and prominently displayed at the “Rejuvenate – Shoulder Massage Corner”. Conference bags will be distributed to all members during the onsite registration. The bags will contain important conference information and other merchandises. It is a golden opportunity to promote and foster your business brand by having your logo printed on these bags as members find these bags useful during and after the conference. 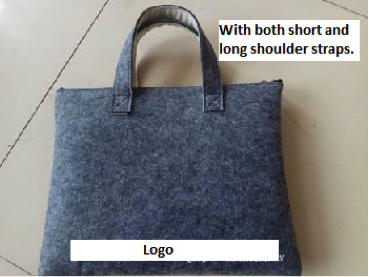 Company logo to be printed on one side of the bag. 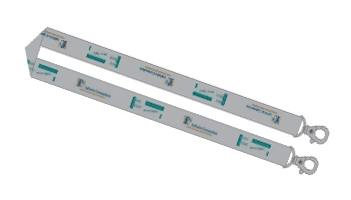 Lanyards will be worn by all members and it will be a good opportunity to promote your company name by sponsoring conference lanyards. Company logo printed on the lanyard. 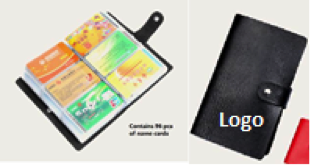 The name card holder will be provided in the delegate bag and given to every member. The name card holder is an important stationery as it acts to contain all name cards of the delegates that you meet during the conference. It is an excellent way to promote your company. Company logo printed on the name card holder. Every delegate will receive this item strapped to their conference bag. 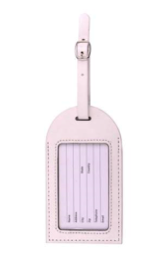 Other than using it throughout the meeting during one-on-ones, it can also be used when the delegates travel. Your company will receive good branding visibility. Company logo printed on the luggage tag. Please email us at sales@ifc8.network if you are interested to be a sponsor. All sponsorship options will be closed on 5th September 2019. InFinite Connection (IFC8) is a new and exciting freight forwarding network whose single goal is to create a network that is collectively powerful, with sustainable advantage and is cost effective.